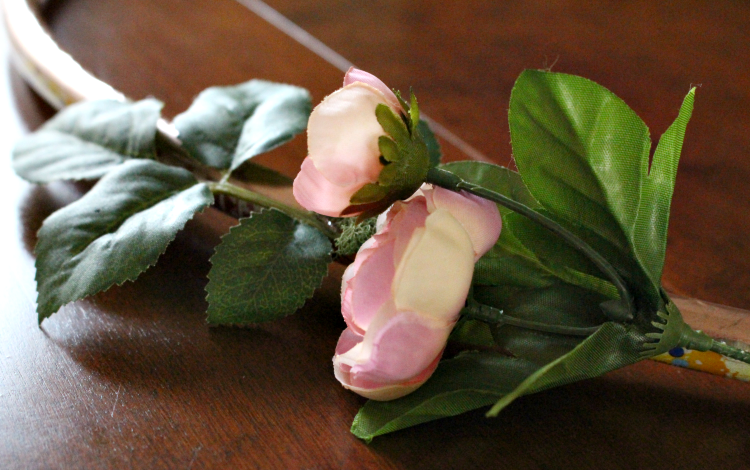 Let me show you an inexpensive and easy way of How To Make A DIY Floral Photo Hoop. This is perfect for parties of any kind, from first birthdays, to Weddings or, in this case, Graduations! 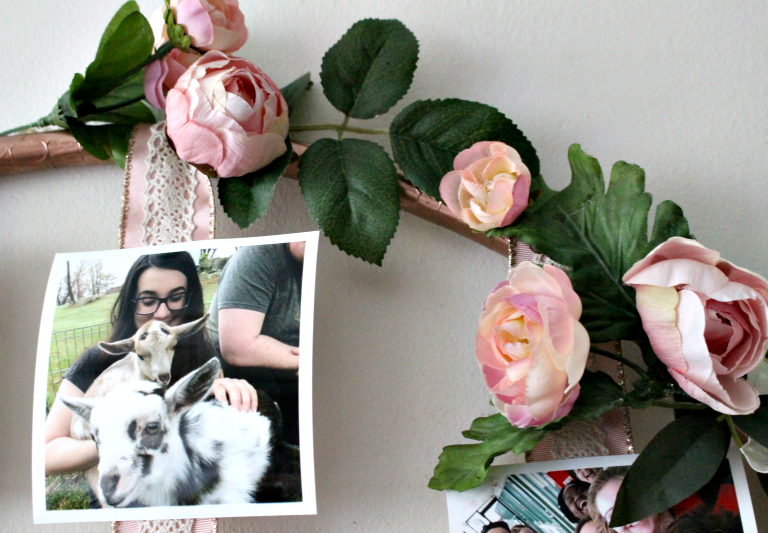 This is the monthly Farmhouse Hens Challenge and the theme is DIY Frames. There were no limits to this challenge, so you could make it, decorate it or build it. As I am completely in the “all things Graduation zone” for my daughter’s party coming up at the end of the month, I went with something that I could hang outside at the party and also use as a photo back drop against a tree. 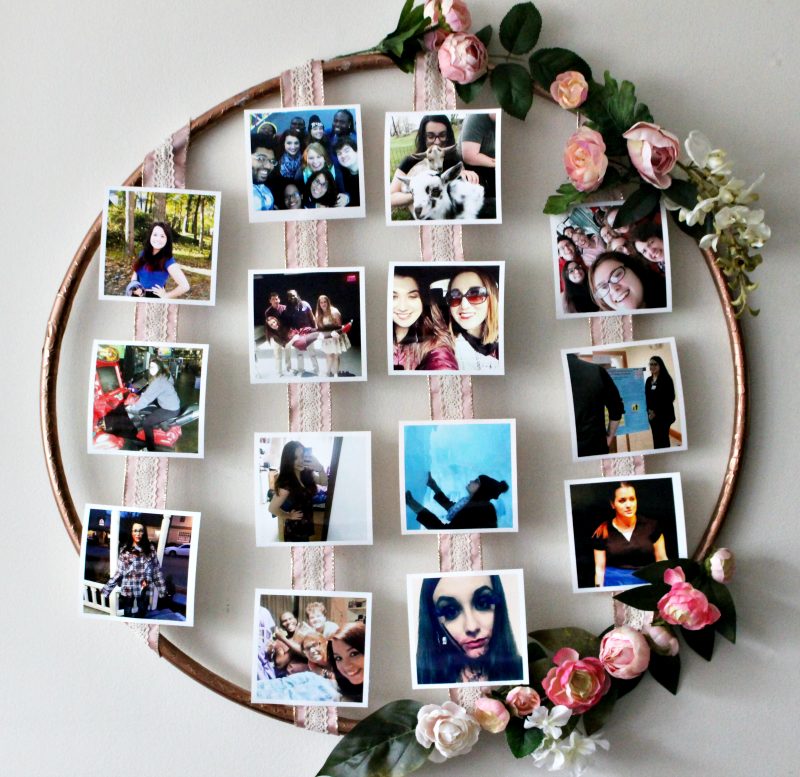 I first saw this cool DIY Floral Photo Hoop on Pinterest here. 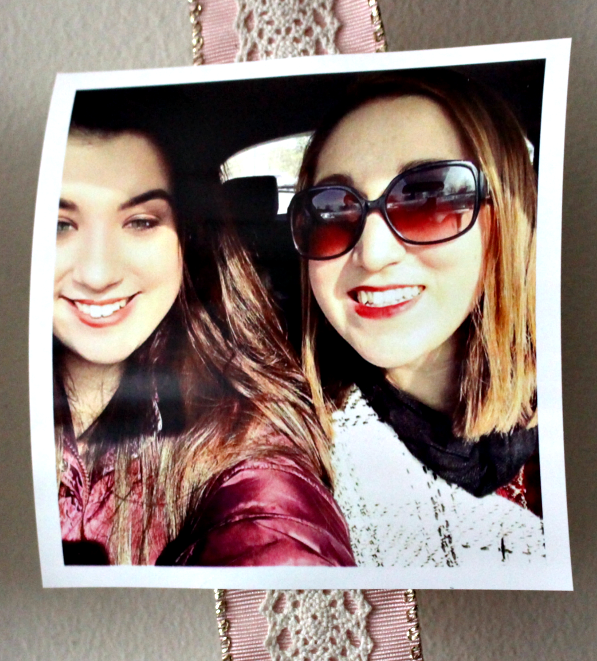 I knew right away this would be perfect for our DIY Frame Challenge! 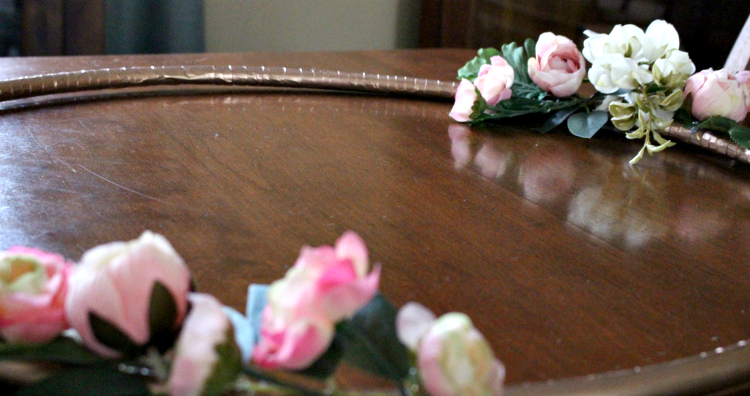 First of all, I just have to point out how versatile this DIY Floral Photo Hoop is. You can add as many or as few flowers as you like and you can use it as a large wreath. It is actually a perfect size to go over a large mantel or on a feature wall. You can paint it any color you like and also make a seasonal one. With the hoop only costing $1, the possibilities are endless! 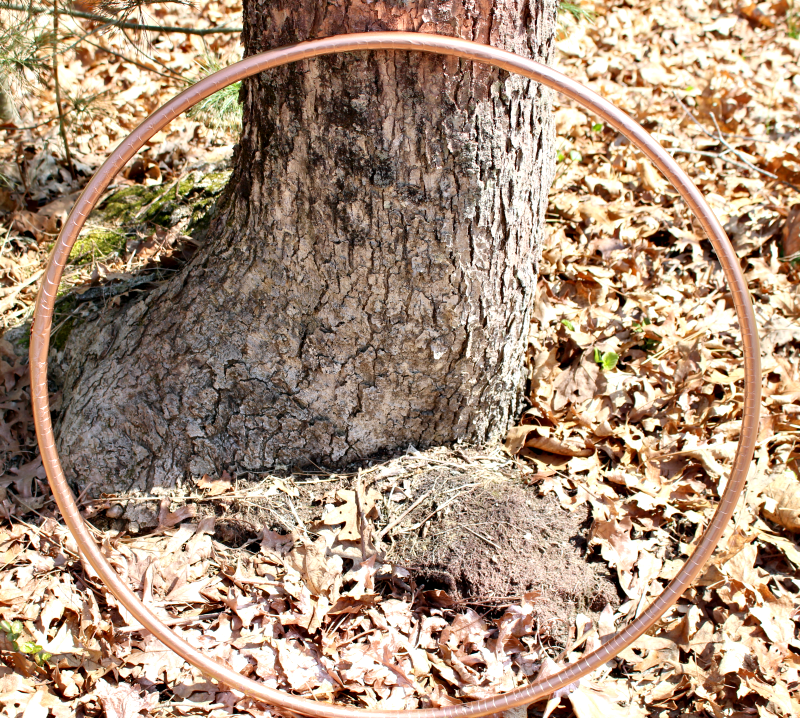 I gave the hoop two coats of copper spray paint letting it dry in between. Next, I added just a few silk flowers to each corner. I didn’t want the flowers to take over, as I wanted the photos to be the feature. 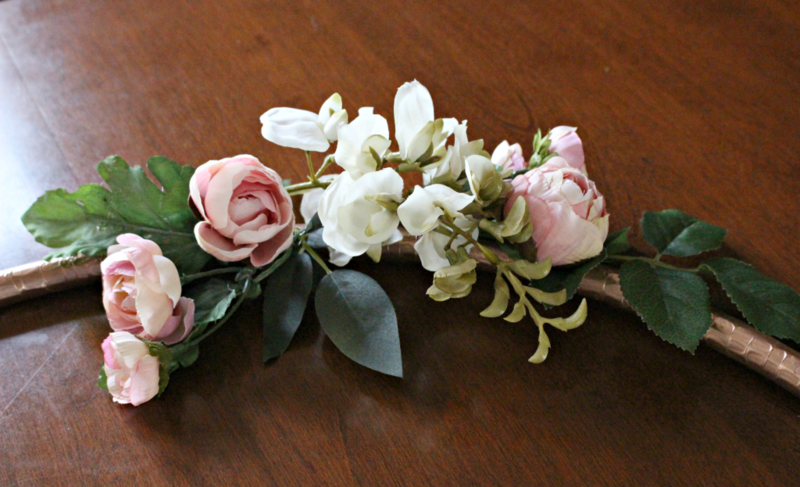 Just use a dab of hot glue to attach the flowers. The gold spray paint really makes the hoop more elegant. I will definitely be making a large wreath in the future. This beautiful pink and lace wide ribbon was a steal at an after Christmas sale. For the pictures, I wanted them to have an instagram effect, so I printed them out in 4 x 4 and added a white border. I chose a few photos from each of her four years of College. Of course the beautiful young lady on the left is my daughter, Amanda. But I also have to take a moment to point out the beautiful young lady on the right, Sarahanne. She has been my daughter’s best friend since second grade. Through different schools and different States these two have stayed extremely close. Though with both having busy lives, they don’t get to see each other often, but are always there for each other. As if it was meant to be, they will both be living in New Hampshire and I can truly see these two sharing in each others lives through marriage, children, even grandchildren! Thank you Sarahanne for being such an incredible friend!! 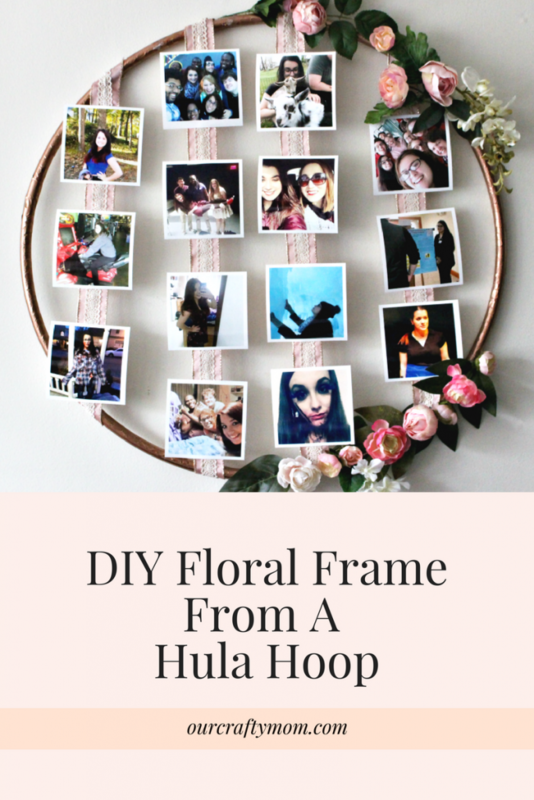 I hope you enjoyed this post How To Make A DIY Floral Photo Hoop and will visit the talented bloggers below to see their DIY Photo Frames! This is so perfect for grads… I saw some hoops at the dollar store but making the photo large enough to use it as a frame was too pricey. You solved it, these little photos as a celebration work perfectly. Well done proud Mom. Clever idea! It’s cool for a teens room too. Love! 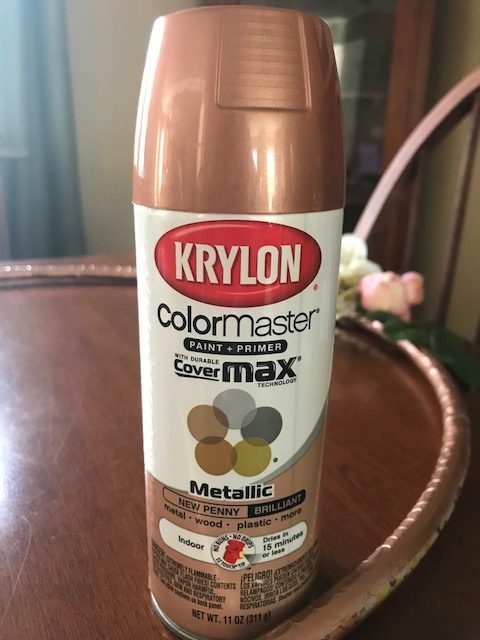 STEPHANIE ABBOTT recently posted…How to Patina Paint DIY Metal Finishes, with 20 Examples! This is such a great idea for a graduation party. So very cute and clever. Love it. What a lovely idea!! And a perfect gift idea!! I had a different project in mind but think this will be the best idea. Just got a bigger embroidery hoop at yard sale yesterday so will be making this for our grand daughter for her graduation, Baccalaureate is on Mother’s day and actual graduation will be following Wed. at night. Will give this to her on graduation night and couple other projects for her on Baccalaureate night. Got one project done today so have 2 more to complete. Taking my time so I don’t rush, want everything to be wonderful for her. She has worked so hard, got a Daniels Fund scholarship, straight “A’s” all thru high school. So proud of her. Love your hula hoop wreath, so pretty, the ribbon you used for photos is very special and flowers are gorgeous. 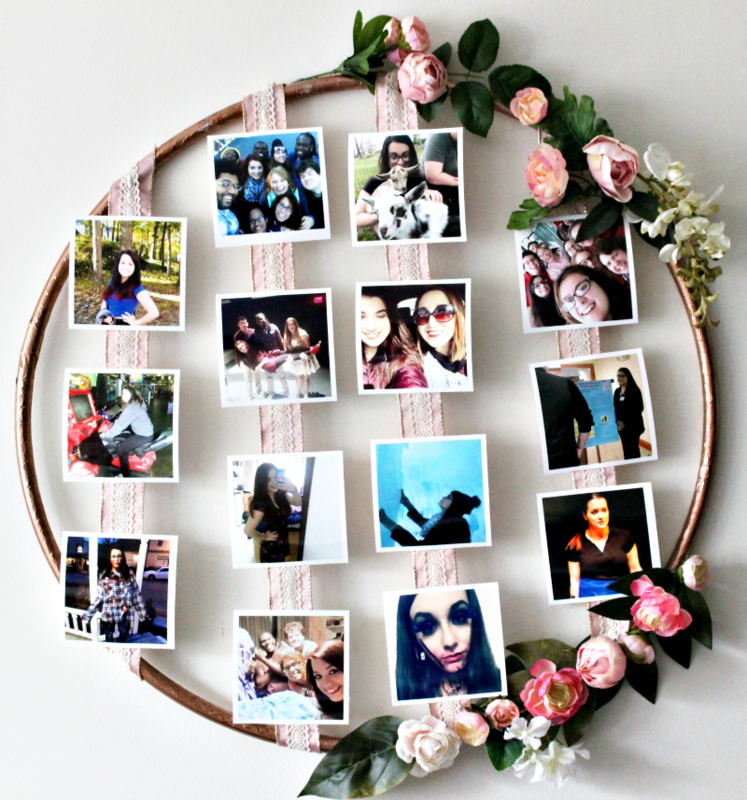 This is such a fun way to display photos, I love how the flowers and ribbon dress up the hoop. Michelle this is so pretty and useful! I can see using this idea for so many different kinds of parties. We are a loooong way away from graduation, but for birthdays and other events this works great! Love this! Even though my daughter is years away from graduation, I could see how loving this as wall decor in her room. Congrats! Visiting from Talk of the Town. What a great idea! This is so pretty. It’s perfect for any occasion. What a cute idea! It would be great for a wedding. Thanks for sharing with SYC. This is such a clever idea. Love the flowers and the pretty lace. 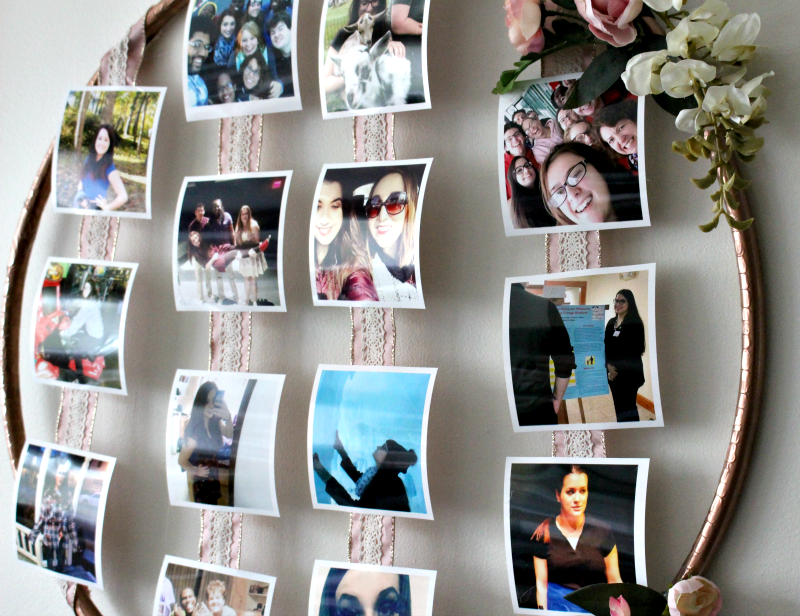 ‘Tis perfect for displaying your favourite photos. This is so neat & perfect for a graduation party! Thanks for this great idea! I plan on making one to hold all our Disney pins along with some photos. Using a hoop is such a great idea! Simple and fast to create – perfect for weddings, grad parties, funerals, etc. perhaps I didn’t read fully, but I’m not seeing how you attached the photos to the ribbons?? I admit with my old eyes, I don’t always see things that are there!! Hi Bonnie. I actually just used hot glue to attach them, but if you want to remove them to change them out you can use double sided tape or several glue dots. Hope this helps and I’d love to see yours if you make one! Thanks!! I had forgotten about our little friends the craft dots!!! That sounds the least damaging!!! Very cute idea, and since I have VERY little wall space, I can put them all in one spot!! Win Win!! My girls will love this craft- pinned! Wow, This looks awesome. I love this way of displaying photos. I plan on making one to hold all our Disney pins along with some photos.Thanks for this great idea! It’s my first time to see a floral photo hoop! It’s very creative!